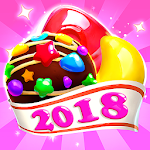 ?- Lollipop: Sweet lollipop help you to smash the any candy you want to crush. 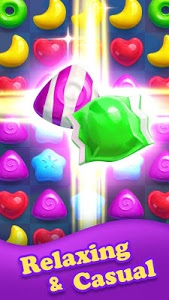 ?- Bust rocket: Help you to crush a vertical column of sweet candy. ?- Magic wand: Magic wand allows you to re-arrange the candy interface. ?- Magic gloves: This glove from the hands of magician, you can let you exchange any two candy. ?- Spacecraft: This ultimate skill can help you collect all the same candies at once. 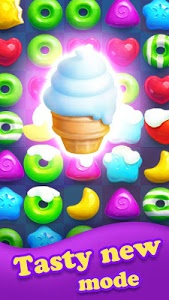 ?- Move and match 3 candies of the same type to burst and win points, 4 and more crushes genarates a powerful booster!. 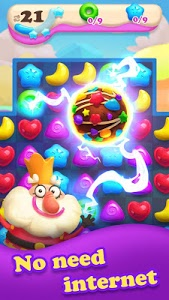 ?- Get four or more of the same candy together and make a magic bomb. 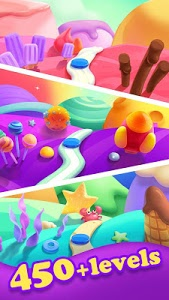 ?- Special Levels need crush numerous candies, use booster to activate the magic bottles. ?- Try to reach high scores and get 3 stars on every level, get special prize! 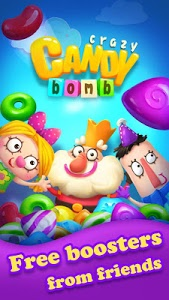 Similar to "Crazy Candy Bomb - Sweet match 3 game"